Björk‘s artistic incarnations seem very intentional, well thought out. 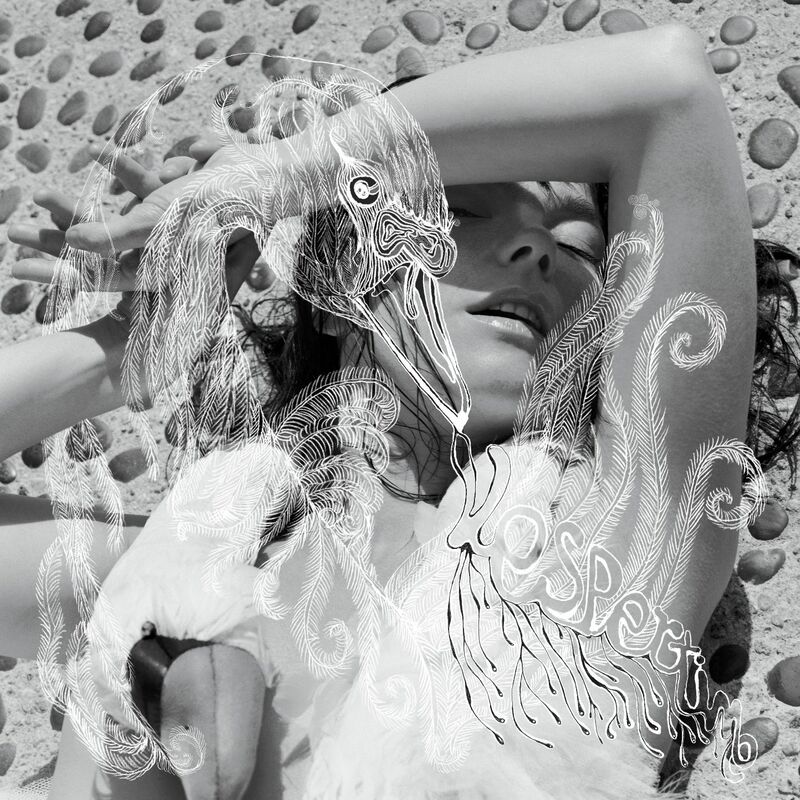 Vespertine, her fifth studio album was released on August 27, 2001. The initial title for the album was Domestika. A song titled Domestica (originally titled Lost Keys) was included as a B-side on the Pagan Poetry single. Björk has stated that she decided to call the album Vespertine instead of Domestika because the new title dealt with the prayer aspect of the album, which she wanted to note, while she felt that calling the album Domestika would have been “too much”, because Björk felt that the songs on the album were already “domestic” enough. She felt the need to call the album after another aspect of itself. The word Vespertine also relates to nighttime, for example things that come out at night, and the title was also partly inspired by that. Although one of Vespertine’s themes is the night time, the frontal artwork designed by studio M/M Paris and photographed by Inez van Lamsweerde & Vinoodh Matadin highlights a sunny time. It might be because the song, Sun in my Mouth, was a single from that album. Björk adapted the lyrics of Sun in My Mouth from the poem I Will Wade Out by E. E. Cummings. The word “sea-girls” is changed to “seagulls”, and the last few lines of the poem are omitted. The ancient Greeks thought that ποίησις (poiesis), with a broad meaning of a “making”, was also the “joint of everything”, the amalgamating element of the world. So, maybe that was the ideal concept for Björk. On the cover of Vespertine she can be seen wearing the swan dress designed by Marjan Pejoski that caused a stir at the 2001 Academy Awards. Марјан Пејоски (Маrjan Pejoski) is a Macedonian fashion designer who lives and works in Great Britain. That infamous swan dress put him on fashion’s map. Some people thought Alexander McQueen was the author of that dress due to his previous collaborations with Björk. Still from Pagan Poetry (Nick Knight, 2001) music video. She’s wearing a dress designed by Alexander McQueen. The music video “is about a woman preparing herself for marriage and for her lover”, Knight said. Pejoski’s swan dress has a precedent. 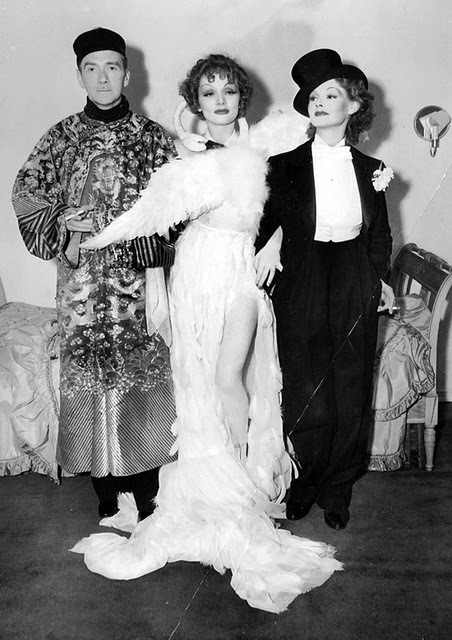 In 1935 Marlene Dietrich attended a Halloween party hosted by South African actor Basil Rathbone and his wife Ouida Bergère. It was a party to entertain movie stars. The Person You Admire The Most was the theme. Dietrich chose Leda, the mytological figure seduced by Zeus, and asked Travis Banton, a Paramount iconic costume designer, to make her dress. Elizabeth Allen was going to accompany Dietrich. Allen’s choice was out of her reach. She wore an androgynous outfit, actually a copycat from Morocco’s costumes. And Clifton Webb was disguised as Fu Manchú.